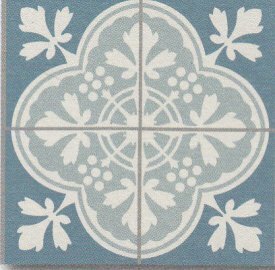 Encaustic Tiles where originally called inlaid tiles as the pattern on the surface is not a product of the glaze as Faux Encaustics, but inlaid into the clay and then fired. 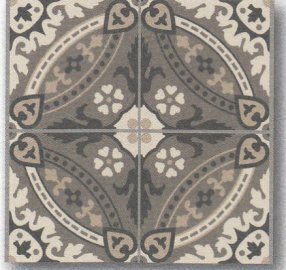 The design, therefore, remains as the tile is worn down. 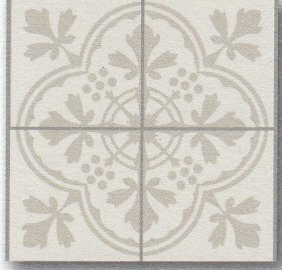 They may be glazed or unglazed and the inlay may be as shallow as 2.5mm or as deep as 4 mm depending on the producer. 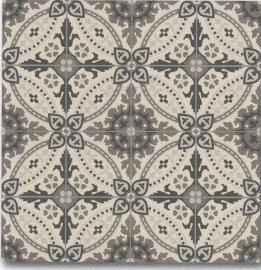 Origional Encaustic tiles can still be seen today, throughout Europe and the Middle East, mainley in churches, palaces and goverenment buildings. 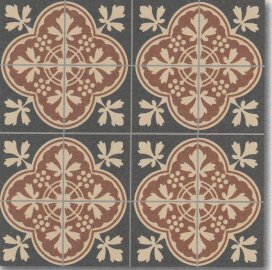 All the Encaustics that are shown here are made by one of the last producers of true inlaid tiles - Winckelman's of France - Which states " our Encaustic decorated tiles are entirely hand pressed as has always been our tradition. Partitioning is a total manual process which makes each item unique. This method has been used for over one hundred years". 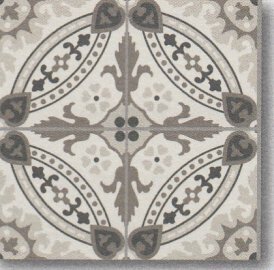 These tiles have a near-zero porosity, which makes them easy to maintain and renders them very stain resistant. With the introduction of computer technologies it is now possible to create a unique decorated pattern for a business logo or other project.